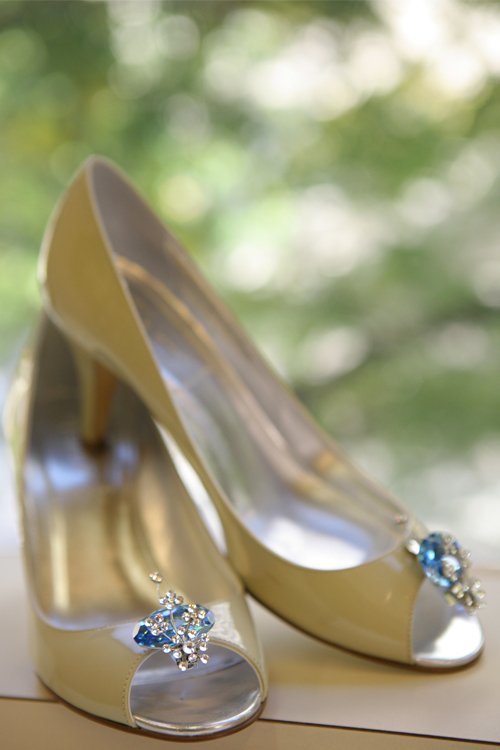 I worked with Elizabeth from New York City last summer on custom shoe clips made from the Kiss & Tell Bobby Pin and a hair ornament that she added something special to. I was beyond thrilled when she emailed me photos from her fall wedding! I love custom work and wiring all kinds of sparkly things on shoes so when she asked about shoe clips I was… let’s just say very excited! The lovely Elizabeth and her husband Marc. I love the beautiful, ornate stone detail of the church they are in front of. 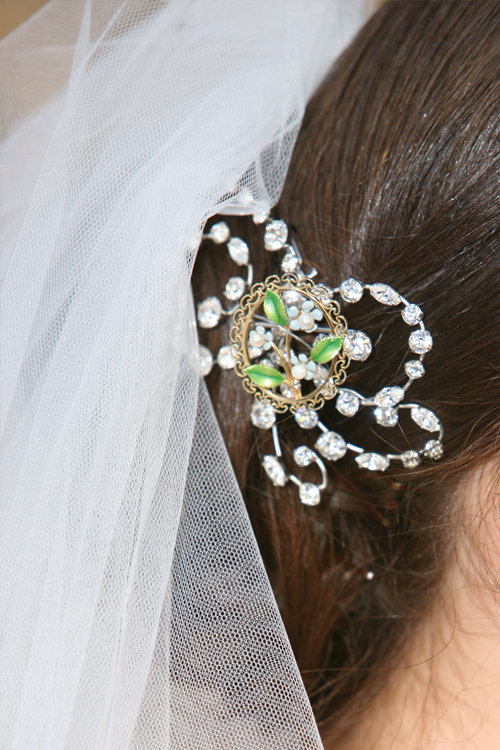 She ordered the Florence Hair Ornament and pinned her favorite brooch of her grandmother’s in the center. 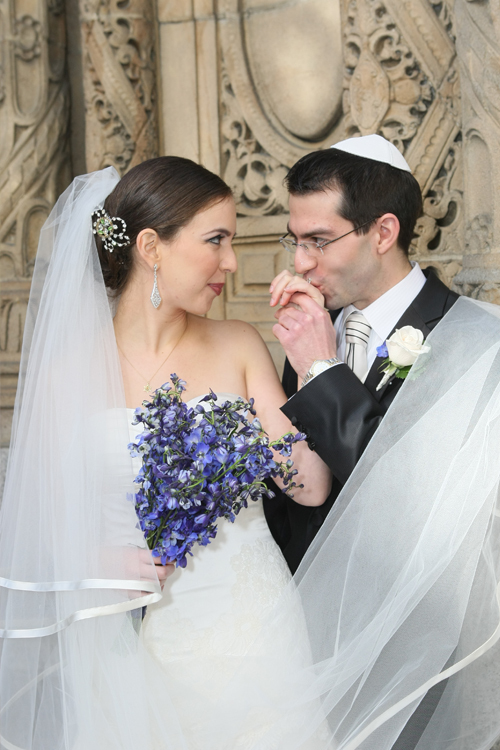 Her grandmother could not travel to the wedding making the addition of her brooch so special. I love this idea! 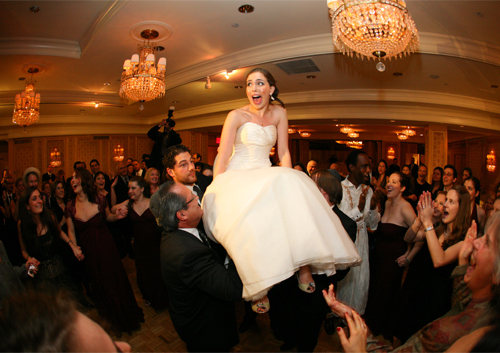 And finally… the chair lifting and a great shot of her shoes. The neckline of her gown is so gorgeous! Thanks to Elizabeth for sharing with us!